This post is dedicated to Iris Van de Casteele, a belgian poet who lives in Paraguay. 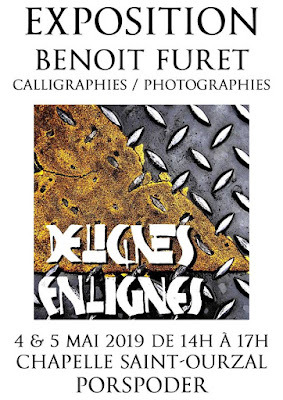 She honoured me by writing a poem about my works in a collection named Grains de folie, poem which my modesty forbids me to reproduce here (even if she was kindly making fun of my failures). At the same time, she was punlishing another collection of poems, in german this time, called Reflexionen where I found the text that follows. 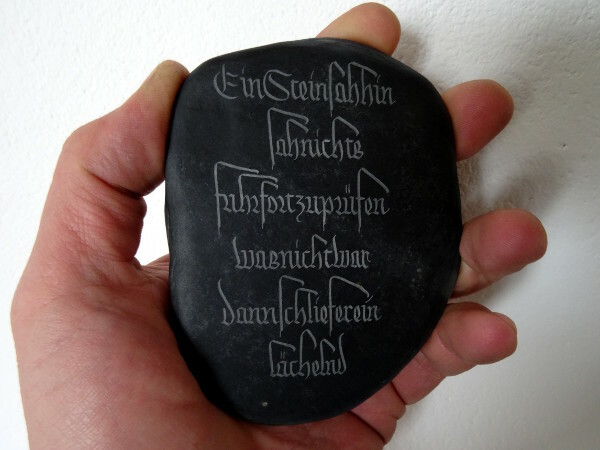 For those who don't speak german, this poem starts with the words : "A Stone ...". 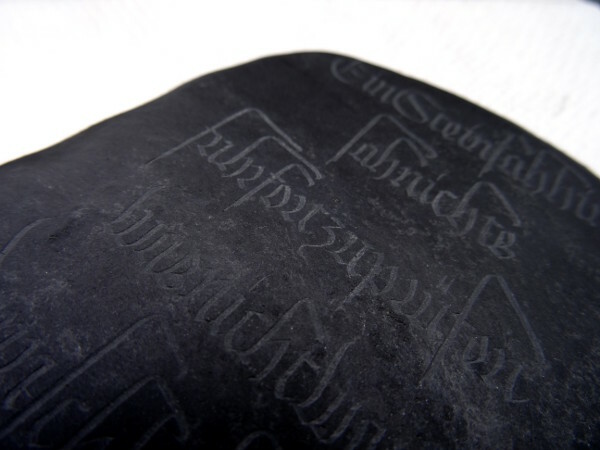 I immediately felt again in my engraving delirium and wrote/engraved the text with a gothic script on a schist pebble.